MacRumours on Sunday noticed that Apple has taken off its online activation check tool from their iCloud website. the reason apple has taken this step remains unknown as they haven't said anything about it yet. could this step be in the direction to aide Apple device theft? well, that is certainly not the case in Apples' perspective but sure it will. The Apple Activation lock feature was introduced in the release of iOS 7, as a measure to restrict the use of stolen Apple devices. This actually helped a lot for those buying used apple devices on websites like amazon and eBay. someone buying a used Apple phone can first ask for the IMEI of the Phone and check its activation Lock status on iCloud.com to verify if activation Lock is on or off before proceeding to purchase. in so doing saves you the risk of wasting your hard earned Dollars on stolen and locked iDevices which are virtually useless. The page lets Apple Device users check the status of their device simply by entering its IMEI into the web page. Apple has so far chosen to remain silent on this but it is believed to be linked to a "scheme that lets hackers steal valid serial numbers from existing iOS users." Hackers were able to enter an invalid IMEI into the Activation lock page and modify the characters until they found one that was functional. The other aspect of this is that, that new functional IMEI they generate is an existing one that belongs to a legit Apple user. this new IMEI is then used to unlock a locked iDevice which in turn renders the legit owners device invalid. This hack is currently occurring to iPhone 7 users who are finding thier legit devices locked to a different Apple account. So what exactly does this step taken to apple mean? 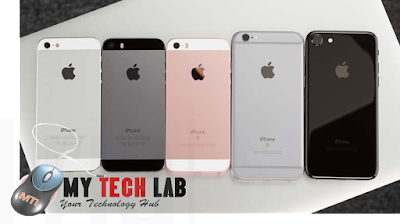 am sure it will be a temporal solution to the hacking complaints by iPhone 7 users otherwise it is a bad news for people who purchase used Apple devices online. My Tech Lab will follow up on this and keep you readers updated on what Apple does next with regard to this matter.